Interior - Mosier's Saloon. OA#104. Description Building probably located on northeast corner of State & A Ave. Similar to newspaper clipping photo #409. Mounted on cardboard. 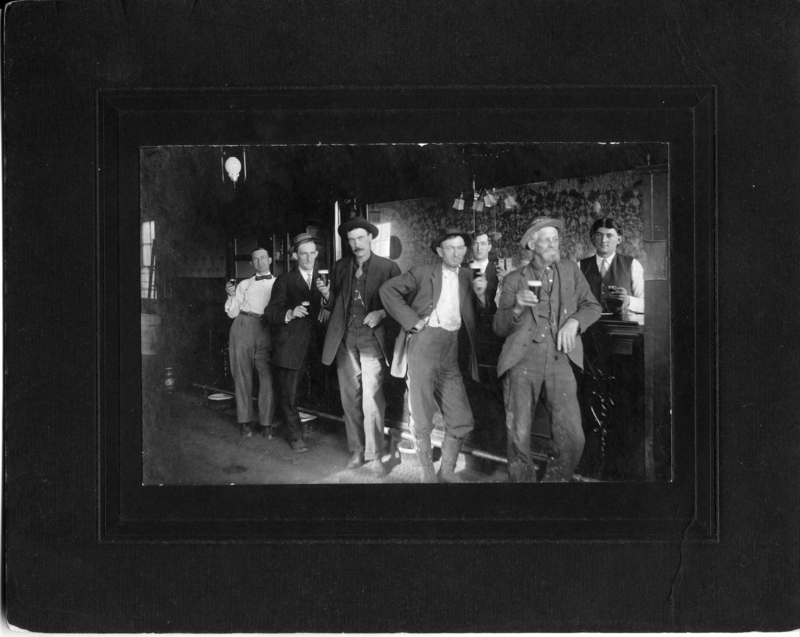 Transcription Interior - Mosier's Saloon. OA#104. Physical Description H 8""x W 10""